The most effective SAAS marketing departments employ paid, owned and earned media channels. For growing SAAS organizations that are doing inbound marketing, paid marketing channels can give you the awareness to put all of that great content to work. There’s a reason why >90% of Google’s revenue comes from advertising. Because it’s effective for driving qualified visitors to your site. Paid search is a staple within most marketers paid media budgets. Google Adwords and Bing Ads are auction-based platforms that are relatively easy to set up and allow you to quickly change ads, bids, and budgets on daily basis. If you’re new to Adwords, take the Adwords Fundamentals class to help you learn the basics. A great way to drive awareness with paid media is through display ads. When using display ads, it’s important that you’ve narrowed down the list of keywords in which will trigger your ads so that you’re only displaying ads to qualified prospects. As one of the oldest forms of paid digital marketing, display ads face an unclear future with the advance of ad-blocking software. Further, as this technology becomes more prevalent, I expect will see the effectiveness of this channel drop for small to mid-sized SAAS companies. Facebook and Google both have retargeting technology that allow you to show ads to prospects after they visit your site. You can setup retargeting on these networks by placing a tracking pixel on your site. One of the most effective ways to use retargeting is by creating ads that align with your prospects buyer’s journey. Just like you create call to action buttons for your website, create high quality ads that encourage users to come back to your site to download your latest offer. As a marketer, be cautious that you are not overwhelming your website visitors with remarketing. Cap the frequency on the amount of times you are retargeting ads to avoid annoying your audience. Social media ads are a gold rush for marketers in 2015…just watch Facebook’s stock price. Larry Kim from WordStream shared some secret sauce tips at SearchLove Conference in Boston on driving conversions from Facebook, Twitter, LinkedIn, and Google+. One of the biggest takeaways he shared in using social ads is that you don’t need a massive social ad budget to drive traffic and leads. Even $20-50 a week can make a difference. It does however take an understanding of the nuances between ad platforms to use them effectively. Facebook, LinkedIn and Twitter each have precise targeting tools that allow you to only show ads to your relevant target audience. 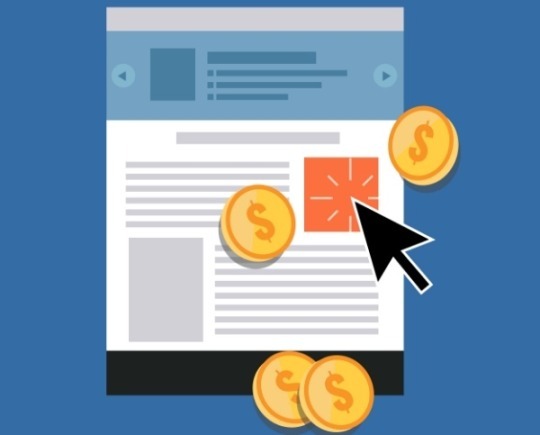 If you look at the bottom and sidebars of a website and see a “related articles” widget with links to other sites, you’re staring right at paid content discovery. Paid content discovery allows you to promote your blog articles within these types of widgets on other sites. Taboola and Outbrain are some of the big players in this space. In most cases, you would pay on a cost per click basis. Here is a breakdown from Moz on the different features of their technology and some experiments they ran. One secret sauce tip when using content discovery services is to make sure you are only promoting your highest converting blog/educational content. Run an attribution report in HubSpot or a similar conversion report in Google Analytics to identify these URLs. Online video ads are one of the most understood advertising mediums for marketers new to paid promotion. For getting started, YouTube is the most straight forward video ad platform. You have the option of overlaying ads on top of videos, boosting your own video rankings with Adwords for Video, or running your video ads prior to the actual YouTube video. If you don’t have video created that is going to keep visitors watching your YouTube video, consider boosting your video post using Adwords for Video. This will help you increase video views from users searching for a specific type of video and the platform uses a similar set up as building out a text based Adwords ad. What paid marketing channels have you found to be the most effective for your organization?